A new perspective of the Pakamisa Lodge! Isabella took a picture of me while I was setting up for some evening/night time images of the the Pakamisa Lodge. Unfortunately the moon was very bright that night and the wind picked up a lot once daylight was gone, so the twilight images come out well, but the night time shots did not work so well. These are some of the images I took that evening. 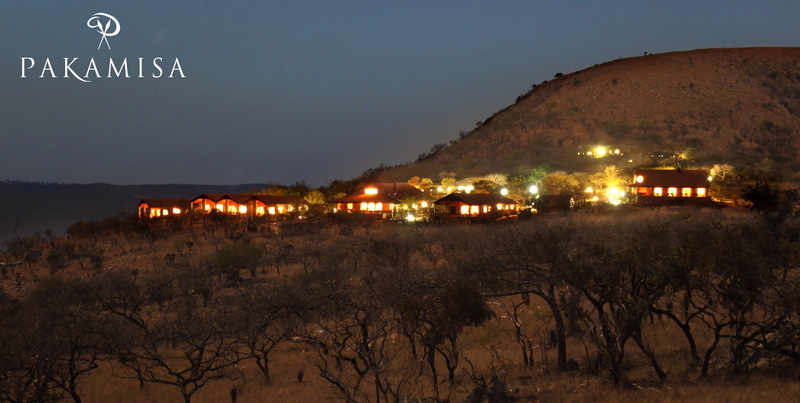 I like this image because it show not only the lodge but its lofty location on top of the Pakamisa hills. Just the right amount of light from the buildings to show the lodge well at twilight. Colors on the hill – a night time shot!